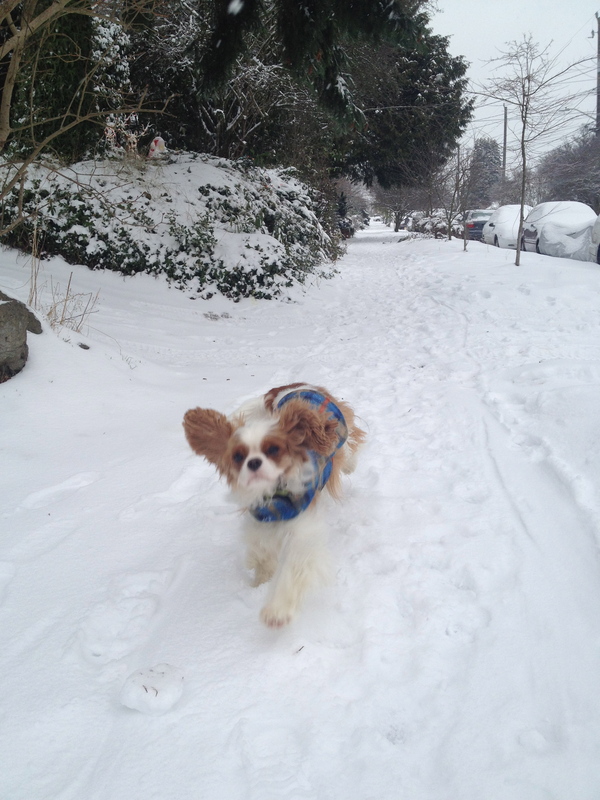 We had lots of snow last week and Mr. Finnegan had some fun playing in it. I got a little stir crazy and have to admit I was happy when I could get out again. I am feeling a bit restless so I’ve been thinking about and planning some trips. The most exciting one will be going to Hawaii with Matthew and Danny in June. Yay for mai tais and warm weather! I can’t wait to sit by the pool with my kindle and a tropical drink. I’m also trying to figure out a trip to San Diego. It would be really nice to see some old friends and be someplace warm for a few days. I’m getting frustrated with the chemo and having all this downtime at home just makes it harder to distract myself from the side effects. I’ve been on the Xeloda now for about 10 months. The blisters on my feet are under control, but now I think I’m developing some neuropathy in my right foot. It sometimes feels like someone is stabbing my foot, but there is nothing there. The sores on my scalp are so bad that I haven’t had my hair cut in forever. This past week I got a few mouth sores again, those are always a pain. And while I’ve had one nasal sore for almost two years now, for some reason in the past week I’ve developed several others. I’m trying sinus rinses and humidifiers all over the house, but I end up with a near constant runny, bloody nose. It’s quite lovely. I do remember thinking that my trip to Maui last spring was going to be my last time going to Hawaii. So going there again this June feels like a bit of a victory. I’m beating the odds and sitting in the tropical air by the pool with views of palm trees and sunsets is going to be a great celebration. us to enjoy…….You are loved.